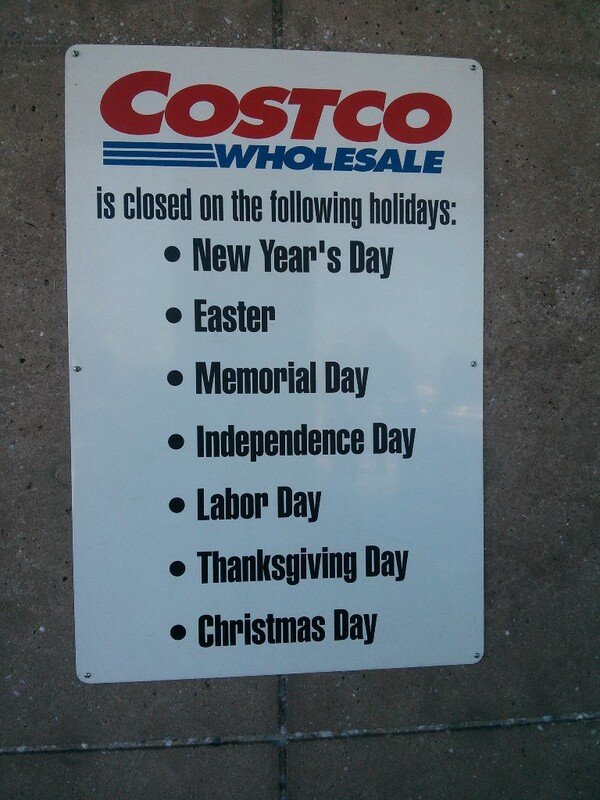 Don’t forget, Costco will be closed on Monday, 05/28/18, for Memorial Day so get all your food and supplies before then! Have a great weekend, everyone! It’s no April Fools’ Joke! Costco WILL be closed on Sunday, 04/01/18, for Easter, and reopen on Monday.